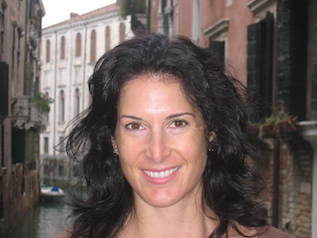 Originally from Santa Barbara, CA, Capucine began practicing yoga, while living in New York, some eighteen years ago. She then went on to earn her 200-hour yoga teacher certification from Exhale Spa, under the tutelage of Isaac Pena and Jude English. Capucine went on to lead Vinyasa-based classes and private sessions in Manhattan. In 2008, she and her family moved to Tiburon, where she continues to offer Vinyasa and Therapeutic yoga to adults and children. Currently, Capucine is studying to become a Yoga Therapist through the IAYT’s accredited 800-hour program. Prior to discovering yoga, Capucine played volleyball at the collegiate level at the University of Southern California (USC) where she earned a full-athletic scholarship. She competed on the women’s Division I Pac-Ten varsity team for four years, while earning a Bachelor’s Degree in Communications. Capucine was inspired to learn about helping individuals with scoliosis, through yoga, from her younger sister who has was diagnosed with congenital scoliosis in infancy.